Singapore got jazzed up alright – the jazz genre had come to spread it’s love, swing and pizazz to the land of Singapore in the form of the Singapore Jazz Festival 2014, held over the last weekend of February leading into March. 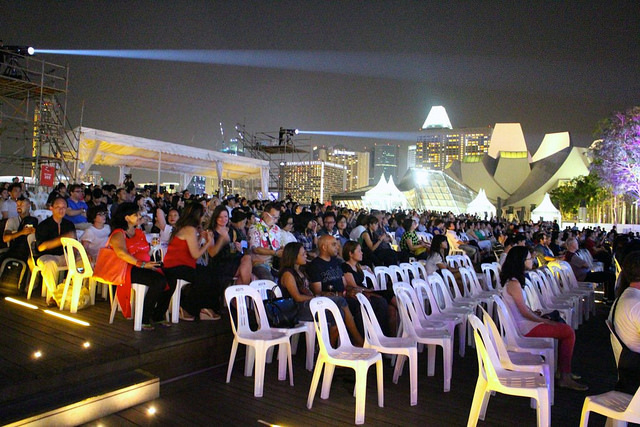 With its stage at the MBS event plaza overlooking the gorgeous Singapore city skyline, concert-goers were treated to 3 days of croonin’, movin’ and groovin’ under the starry night sky with the legends of jazz. 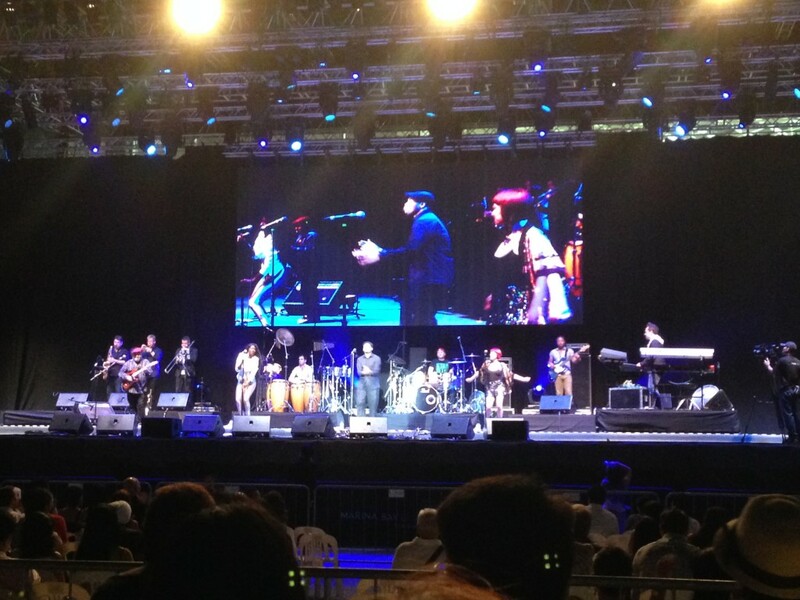 The first day of the festival started off with a unique local touch – the Asian Jazz All-Stars Power Quartet, led by local Singaporean Jeremy Monteiro and featuring Melissa Tham on vocals, gave an incendiary performance. The band played with such gusto, style and passion – Melissa Tham’s uniquely mellow yet spirited vocals delicately drifting along with the band made the music even more mesmerizing. Asian jazz talents such as the quartet are rising up, bringing jazz into focus in Asia – these pioneering Asian jazz musicians are the ones we have to thank for such jazz festivals and events happening in this part of the world. Following them with a 10-song set was Dirty Loops, a Swedish pop-fusion band who returned to Singapore once more and never fails to deliver. Pumping up the adrenaline of the crowd with their dense, spunky and funky tunes, they showed off their individual musicianship while blowing the audience away with their combined talent. Their music has the rare and true ability to bring everyone from the true jazz-heads, to the pop music and Radio-listening crowds together. Experiencing first hand Jonah Nilsson’s insane runs on both the keyboard and vocals, Henrik Linder’s impressive technique on the bass and powerhouse percussionist Aaron Mellergårdh’s sick beats was unreal – of course, the fangirl in me couldn’t stop screaming every chance I could. 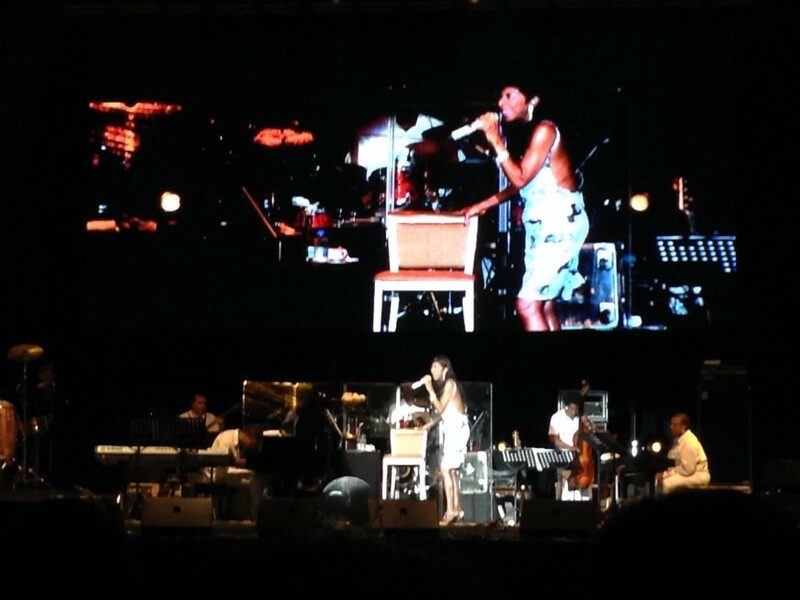 My inner fangirl appeared yet again when Natalie Cole took the stage. At age 64 this year, the daughter of legendary crooner Nat King Cole is still sharing her gift of music with the rest of the world. And gifts her tunes were indeed – ranging from jazz standards such as Mona Lisa to spanish tunes from her 2013 album El Espanol, her haunting, melodious voice (presumably inherited from her acclaimed father) floated across the Event Plaza, encapturing the audience. A personal favourite was her virtual duet of “Unforgettable” with Nat King Cole. Albeit on video, he was as charming as ever even on the big screen. The way their voices blended, the signature raspy nuances of both their voices along with the aptness of the tune brought a tear into my eye. Natalie Cole’s 17-song set ended with a bang – a tribute mashup to late black artists such as Whitney Houston and Michael Jackson. It was a good attempt, but it was a pity that her voice’s timbre did not exactly complement the pop tunes. However, her set was well-received and as she said goodnight, the audience rose to give her a standing ovation. By the time the last band of the day got on stage, it was an hour to midnight and the crowd was definitely getting fidgety and impatient. However, Incognito, a British jazz/funk/soul band, was definitely worth the wait – in the first 10 to 15 minutes of their set, they insisted that people infiltrate the VIP area to get closer to the band and “move to the groove”. After that announcement, the audience members wasted no time in crowding in front of the stage, forming a sort-of moshpit filled with jazz-lovers dancing and grooving unabashedly to Incognito’s funky, driving rhythms. The entire set was a sweatfest – everyone was dancing and no one was remotely ashamed about it.The band’s contagious energy eventually extended even beyond the reach of paying audience – I thought I saw a couple of foreign workers curious at what the commotion was about dancing next to the barricades. 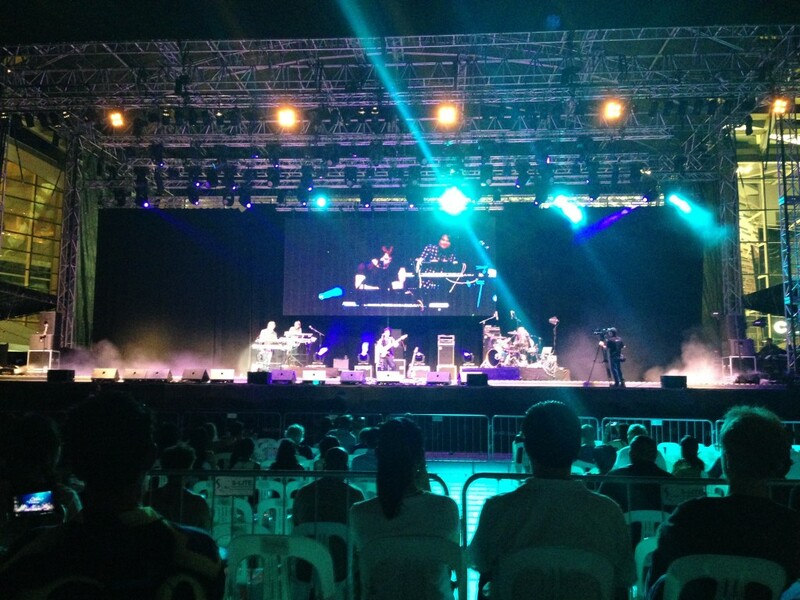 Incognito’s set ended and day 1 of the Singapore Jazz Festival flew by just like that – watching phenomenal talents of jazz and fusion music perform truly was an honor and privilege. As I left the venue, I could not stop swooning about the artistes – I believe the entire crowd was invigorated by the fantastic performances lined up for us, and it was only the first day of the festival! I remember myself being extremely psyched for the next 2 days of being serenaded by these stars of jazz, under the blanket of stars in the Singapore night sky. P.S. 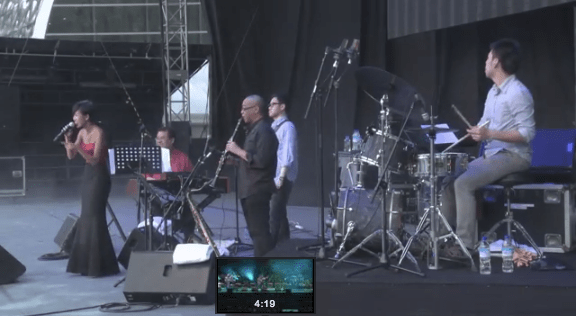 Here’s a little peek of my amazing night at the Singapore Jazz Festival 2014 – more videos to be up soon, including a compilation video of snippets of each act!